Mid-Del Schools is an exciting place to be! Our students and staff members are being recognized both at the State and National levels. If you want to know the latest news, our office can provide the information you need. 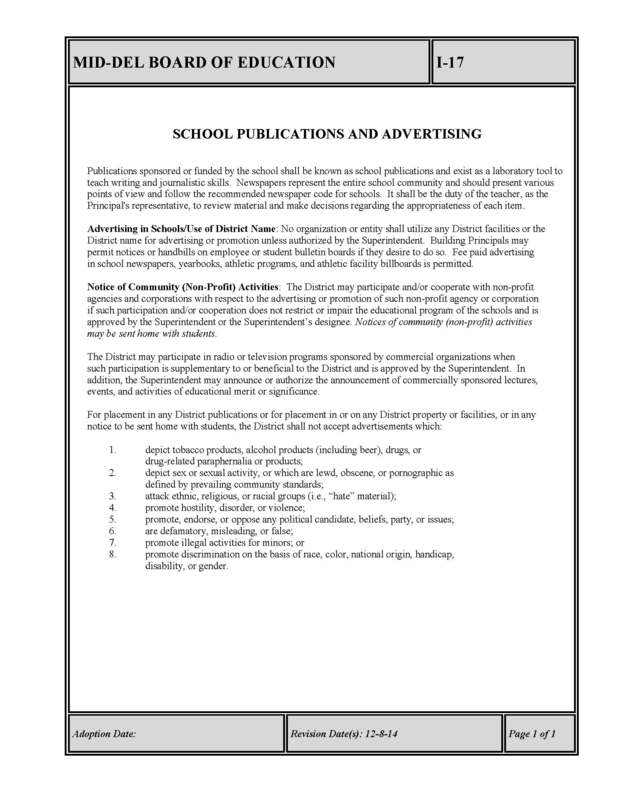 The office of Community Relations/ Public Relations is in place to provide a solid communication technique used as a vehicle to build trust, confidence, and support for all children in our schools. The Director of Community Relations works closely with the media to provide responsible reporting regarding school news, programs and issues that affect our children. In addition to news reporting, the Director works with the Superintendent, central office administrators, and site administrators to promote support for the Mid-Del School District and its mission. The office of Community Relations/Public Relations encourages community support of Mid-Del School activities and programs. Representatives from the office of Community Relations/Public Relations communicate with various businesses and service organizations in its surrounding communities. Mid-Del Schools encourages its patrons to get involved through volunteerism, mentoring, and reading. We also encourage partnering businesses with individual school sites. Mid-Del Schools is a member of the (OKSPRA) Oklahoma School Public Relations Association. Our district uses this organizations to reference other districts in Oklahoma and throughout the nation. Mid-Del launched a new electronic flyer communication tool called “Peachjar" on February 4, 2019. To view school-approved digital flyers, simply click the Peachjar button on your school’s website homepage. No action is required on your part. You should have received a welcome email from our service provider (Peachjar) that includes a username and password. If you did not receive a welcome email, please see the instructions below. This is provided to give you the opportunity to manage your account and flyer delivery preferences. You do not need to login to receive or view school digital flyers. If you have not received your email from Peachjar to set up your account, please visit: PEACHJAR. You will be directed to register an account. Please be sure to set up your account as Parent/Family Member. Complete the User Information portion by creating a username and password. Select United States, Oklahoma, and Mid-Del Schools, and then select the school site. You have successfully created a Peachjar account! If you have any questions, please feel free to call Stacey Boyer at 737-4461, ext. 1230, or email sboyer@mid-del.net.